By the 17C & 18C, artists portrayed women & girls, often the eligible daughters of the patrons commissioning the portraits, near a fountain.In these fountain settings, the young lady is often depicted in the mythical realm of Arcady, a fashionable conceit of the time. At the center of Arcady is the Garden of Love, where a figure of Cupid sits atop a fountain. 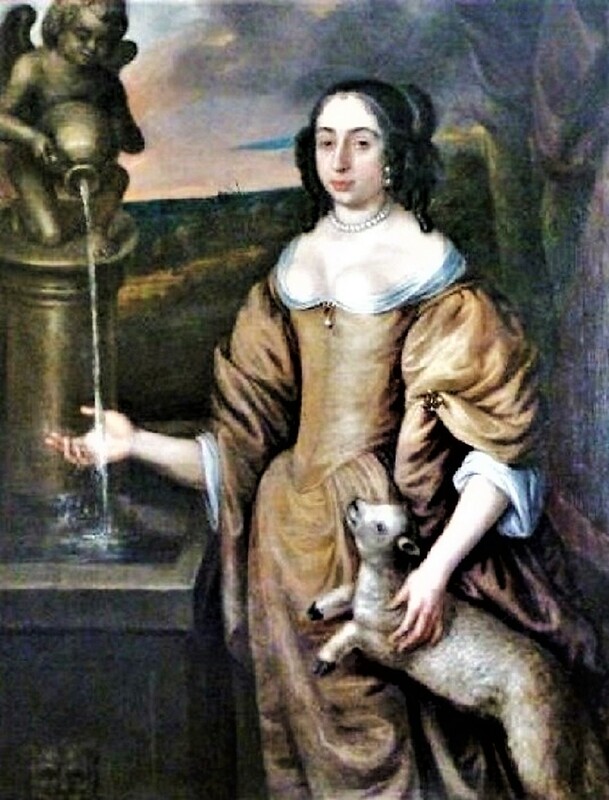 The young lady places her hand in the flowing water...this is a motif much used by Van Dyke & Lely & it makes an allusion to her potential as a wife & mother, recalling Proverbs, Chapter 5, Verse 18 "Let thy fountain be blessed, & rejoice in the wife of thy youth." Garden fountains were originally purely functional, connected to natural springs or aqueducts & used to provide water for drinking; water for bathing & washing; & water to nourish growing plants. The painting would announce to the viewer that the parent/patron had enough money, taste, & technological expertise to channel the water through an artistic garden fountain. Water was now not just a necessary component of nature, the garden planner could make it an integral component of art both outdoors in his garden & indoors in the paintings on his walls. He could not only interpret nature, he could control it. And in this painting, he could announce his "natural" superiority, & might chose to have the portrait he has commissioned suggest that his young lady might be sexually appealing for the right marriage partner.